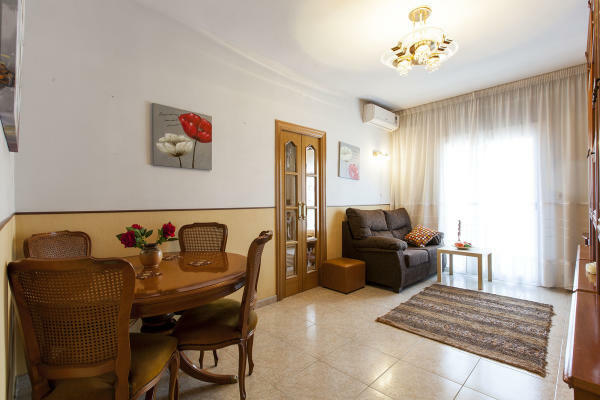 Located in Poblenou, this apartment has the beaches on one side and the famous Parc de la Ciutadella on the other side. You will find the well-known Rambla de Poblenou street in close vicinity and some of Barcelona’s best beaches within walking distance. This area is marked by a lively culture because of the many concerts, congresses, and festivals that take place here. What’s more, the trendy Born neighborhood of Barcelona is just across the park, and the rest of the city’s main attractions are only a short metro ride away. This three bedroom apartment can accommodate up to six people comfortably. The kitchen comes fully equipped and there’s a washing machine for your convenience. The apartment also has heaters and air conditioning as well as a TV and Internet.